Solar pool heaters are no longer just plastic black rectangles strapped to the roof of a house with non-structural roof penetrations. Today's technology allows these systems to be fitted to the roof space and secured structurally often with no roof penetrations at all. Powerstrips, manufactured by Hot Sun Industries are freeze tolerant, serviceable, modular and repairable. 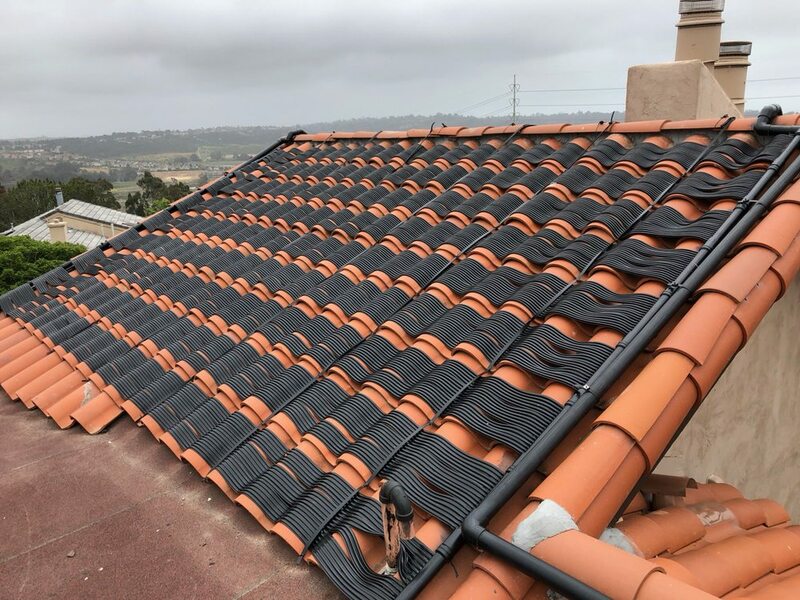 Fitted tighter to the roof than rigid sheet polypropylene solar panels means less wind loss and better performance per collector area all without sacrificing the value of the home. Extend your swim season and enjoy warmer, more comfortable and inviting pool water temperatures with a solar pool heating system. By heating your pool with solar panels, you will be contributing to reduce your pools carbon footprint. You will be heating your pool with the most cost effective, cleanest and most environmentally friendly source of energy there is...the sun! Installation of HotSun Powerstrip Solar Panels. What makes us stand out from the competition? 1. 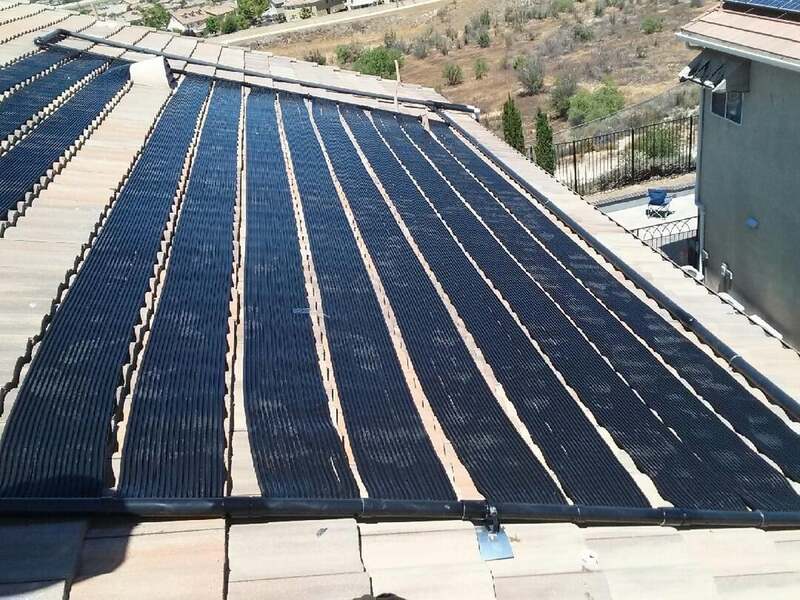 Powerstrip solar panels can be custom made to fit any shape roof or available space. This gives us the ability to maximize coverage on one roof side, go around vents, chimneys, skylights or any other objects. 2. Blends into roof for an aesthetically pleasing look compared to any other panel. This is because each panel is 1 ft in width and fits on 1 course of tile without overlapping. 3. Perfect application with solar electric panels because each system is able to share the most desired facing roof top. 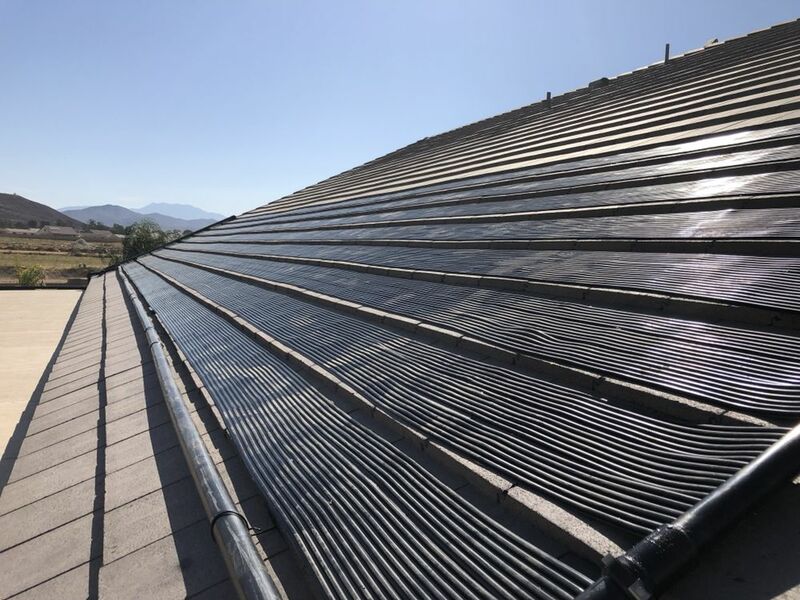 Ready to start your solar thermal project? Fill out the form below and we will reach out to you within 2 business days. Thank you! If your pool was recently built, chances are that you have a Variable Speed Pump installed. A ground mount system is suitable for larger properties, mainly if the roof is either obstructed from the sun, or if it is already completely covered by solar electric panels. Thank you for your interest in Pure PWR Pools for your solar thermal installation needs! Please allow 2 business days to hear back from us. If you do not hear back from us within 2 business days, feel free to reach out to us via email, call, or text.